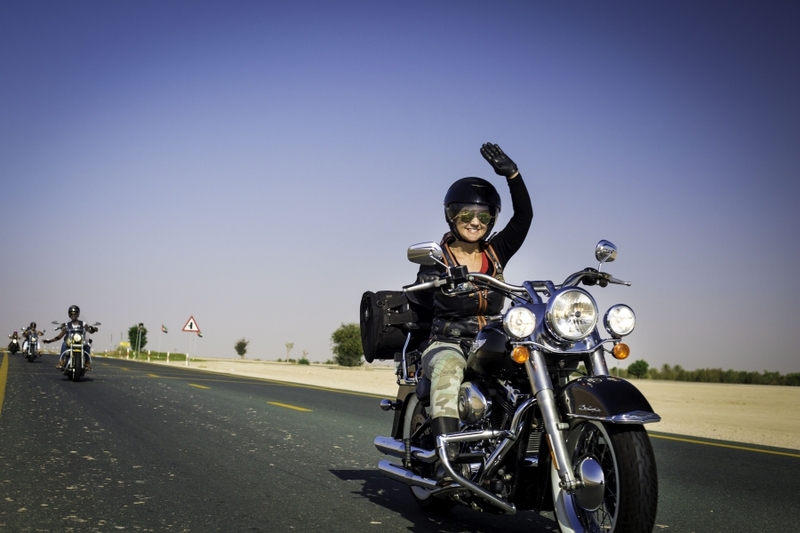 Women in Dubai are taking over the roads on their motorcycles! “When I ride, I feel like I own the world.“ Dana Adam is one of many women following her dream and getting on a despite the difficulty for ladies in the area. Dana is a pseudonym, for instance, because she is from a conservative and powerful family in Yemen, where riding was not allowed. “It’s not acceptable in Yemen,” she says. “No lady rides on a bike. 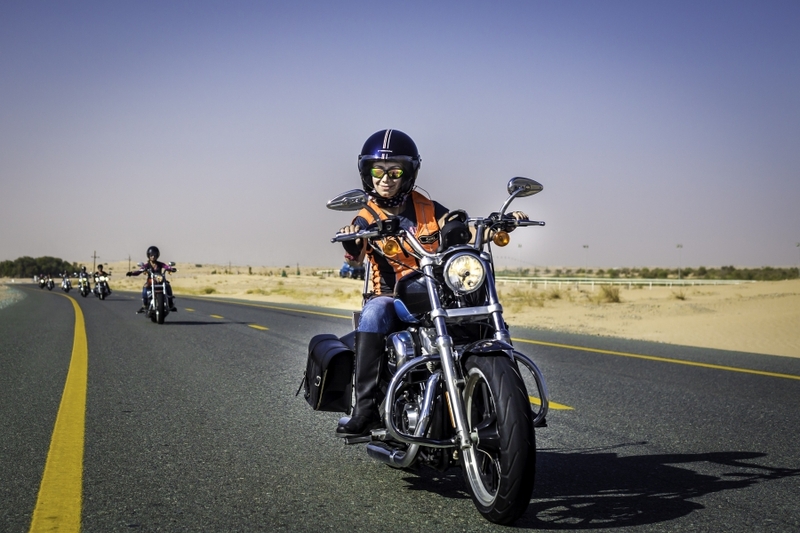 My family never let me do it.” So now, living in Dubai, is enjoying riding her Harley Davidson on the expansive highways in the area. And she isn’t the only one! Reporter Amanda Fisher wanted to to cover the group of female riders, “I realized how many strong women there are here that defy the cliché archetype of the oppressed Arab woman.” She photographed a rider (below), Shima Mehri, a woman from Iran who’s wanted to ride since she was a little girl. Similar to many countries in the region, women in Iran cannot ride motorcycles in public (though they can drive, however). At age 29, she and her husband moved to Dubai, and she knew it was time. While she was worried about telling her family, apparently her mother confessed that she once rode motorcycles, sending Mehri a photo of her at age 18 on a motorbike. How amazing is that? Their tenacity is inspiring, to say the least. Photographs by Amanda Fisher, source pri.org.